Some might be shocked by this, but by growing up with the pounding modality of Dancehall, I was brainwashed into appreciating rhythm and a good hook. What really gets me about Vybz is his creativity. One must remember that Dancehall artists do not have the same musical vocabulary to rely on as other composers and improvisers in other types of genres. So one does not learn “Dancehall licks,” as in Jazz, where improvisers learn phrases they KNOW will work. Dancehall is naked (pun intended). A dancehall performer has a ‘riddim’ (a beat with some chords at times) and they create entire songs using just that. The imagination and skills required to do this are therefore quite different than in other types of music (Rap of course being the exception). Some performers are rather good at creating songs from beats, others not so much. Vybz is a BOSS. Here is one of my favourites, “Realest Thing,” which testifies to this. ability to create sections, where melody as well as rhythmic attacks change. thorough understanding of time and rhythm. talent at placing an accent. melodic variations in order to achieve sections. He does this so the riddim doesn’t get boring. To end, it is obvious I am using mostly rhythmic criteria to judge Vybz. I feel fully justified in doing this because rhythm is one of the main things Dancehall is about. So it makes no sense judging Vybz Kartel by how many high notes he can sing or how many chords are in his songs. It is all about the rhythm and Vybz is the drumming master! * Yes, I just musically analysed Vybz. 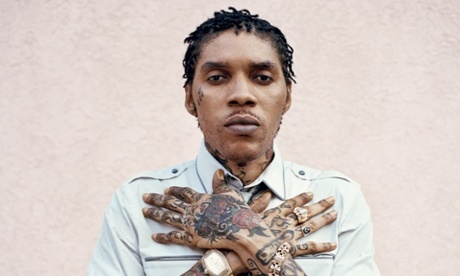 ** Yes, I did an article on Vybz unrelated to his murder conviction.